What you see here is the most wanted house in Sweden. Well, actually not this specific one, but one like this. 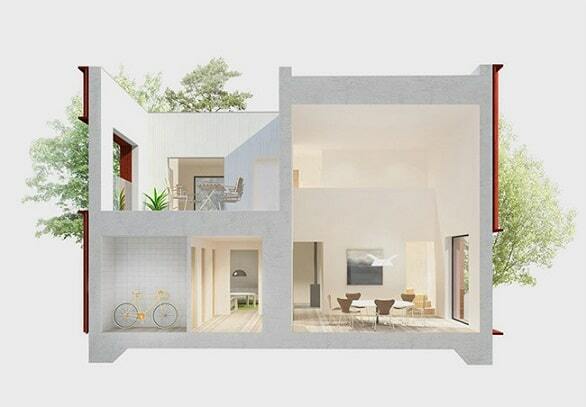 After analyzing more than 200 million searches and 86,000 homes at Hemnet, a Swedish Real Estate Portal, architects Tham & Videgard designed a house based on user preferences regarding size, price, number of bedrooms and bathrooms . The resulting house combines the wishes of a traditional house with the taste for a modern and functional space. 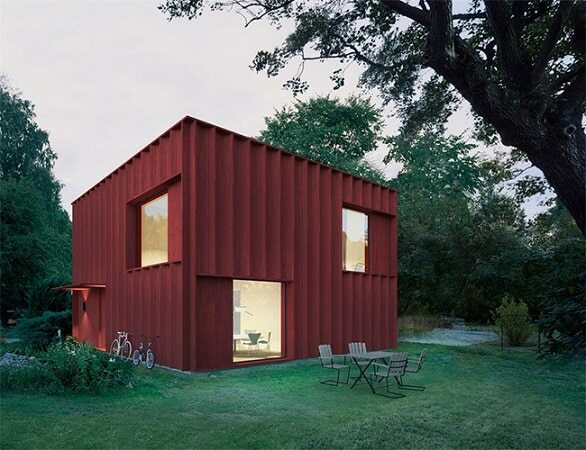 Hence it comes to a cube of clear and categorical lines, but with a wooden facade painted red, making reference to the tradition of Swedish cottages. The statistical study also revealed a preference for homes with more than one floor, so this one has two, as well as a balcony or terrace, which in the design of this house has been included within the cubic volume to provide some privacy. 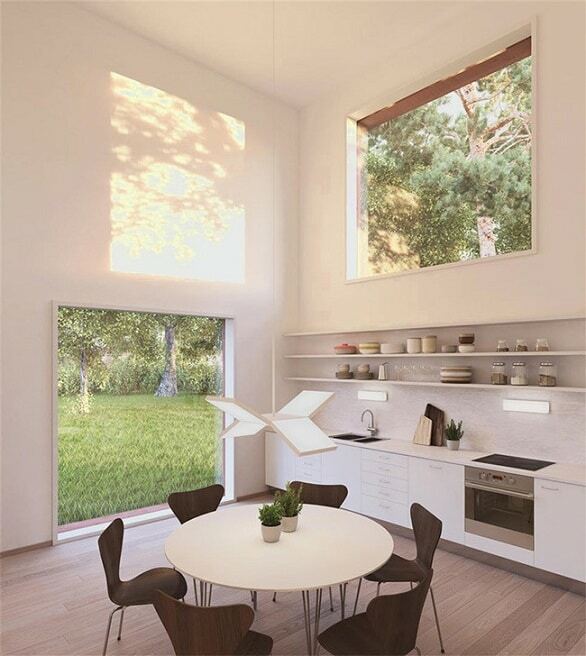 Finally, most users also sought an open kitchen, which has led the architects to give this space a great importance in the distribution, with large windows and a double height which increases the feeling of spaciousness. An entrance hall, a living room, an office, a toilet, a small storage room where to save the bike and a laundry area complete the ground floor. Going upstairs from the eat-in kitchen we come to a top floor where there are two bedrooms, a bathroom and the terrace mentioned above. So here you have the most wanted house in Sweden!